If you haven’t already noticed the recent changes and updates to the Wilderness Survival Skills website, please take a look. 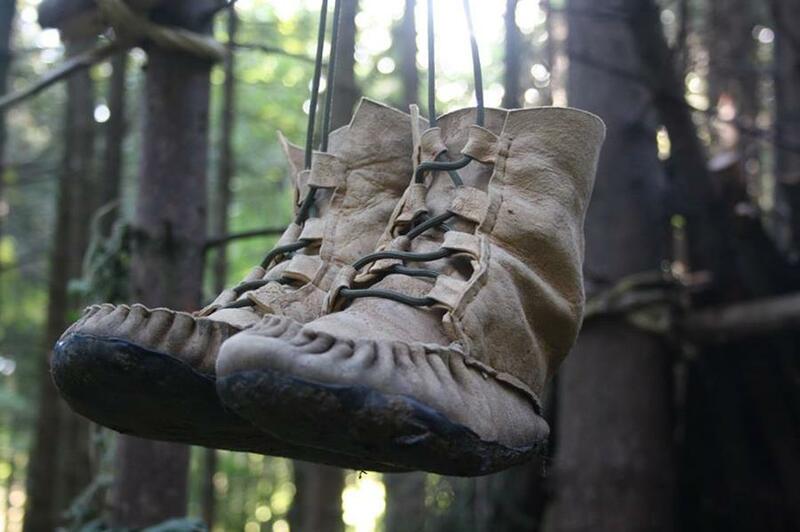 Next years course program has some old favourites and some new offerings with the focus very much on the ‘craft’ aspect of bushcraft. For the craft workshops, there’s no longer any need to camp over in the woods. You can treat the craft workshops as individual day courses and stay locally. We’ll start daily at 9am and finish around 5pm. The aim for this weekend is to focus on the more essential bushcraft and survival techniques allowing for cold weather and minimal kit. Training during the colder months, with fewer day light hours and lower night time temperatures means that your learning will be more relevant and ultimately more useful. Learn the most universally important carving grips and techniques and go home with your own hand carved wooden spoon, spatula and mallet. 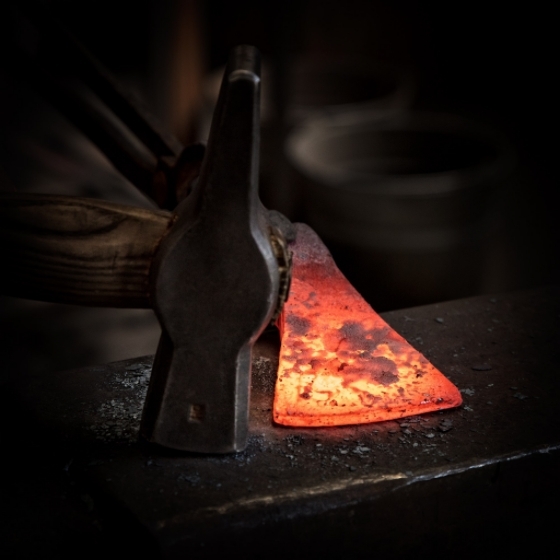 A new course for 2019, this three day workshop is a collaboration between blacksmith Alex Pole and myself. You will spend the first two days of the workshop with Alex learning how to forge a single piece hatchet style axe head. Day three will be spent with me learning how to use the axe safely and efficiently, cutting, splitting and carving green and seasoned wood to make various bush crafts. 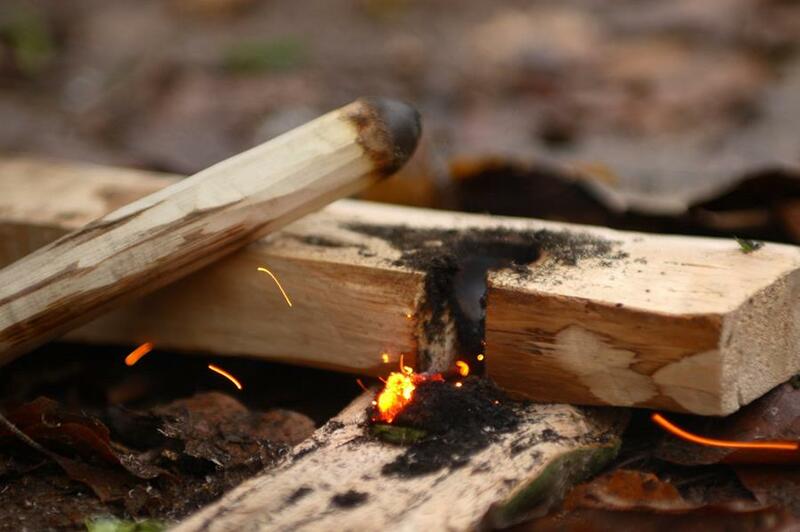 Learning to light fire by rubbing sticks together takes the craft of fire lighting back to it's most basic, encouraging the practitioner to pay close attention to the tiniest detail in order to achieve success. In doing so, you'll truly understand how fire works and what NEEDS to be done when you really need it. 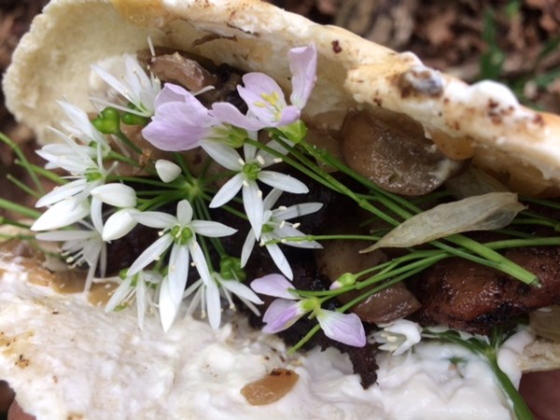 If you've only got a day to spare and you love the idea of dipping into natures larder then this is the course for you. Some plants we'll gather and others we’ll leave alone but by the end of the day you will have learnt about what's edible, tasty and what's not good to eat. 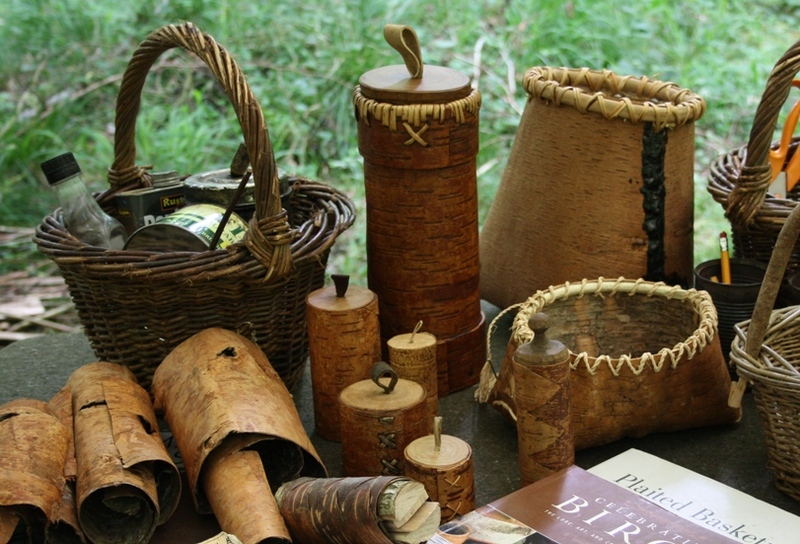 This traditional hide working workshop will equip you with the skills and knowledge to naturally tan hides and you’ll leave with a soft, smoky buckskin each. In 2019 the Buckskin Weekend Workshop will be twinned once again with the popular Moccasin Workshop. Although standalone courses, there is the option of attending both combined to make an all inclusive five day workshop. The moccasin was, and still is renowned the world over for quietness, flexibility and just feeling closer to nature. During this three day workshop you’ll learn a lot about designing lightweight, comfortable and extremely packable foot wear, as well as making your own leather or buckskin moccasins. 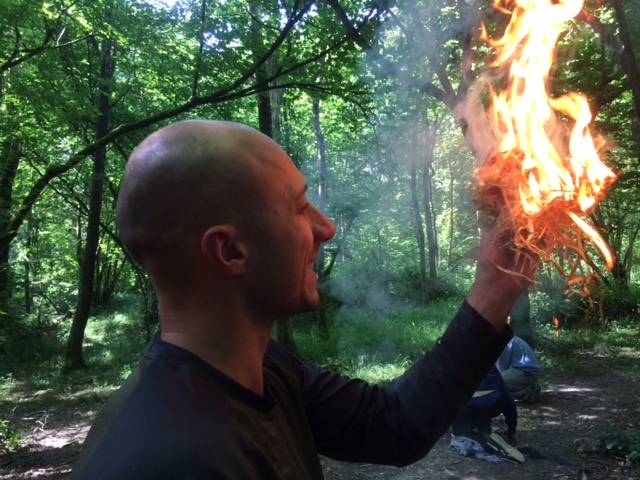 This course aims to introduce you to wilderness survival skills and bushcraft techniques. In fact if you only ever do one bushcraft course this MUST be it! We cram as much quality instruction and outdoor experience as we possibly can into your two days out in the woods. We cram as much quality instruction and outdoor experience as we possibly can into your two days out in the woods. 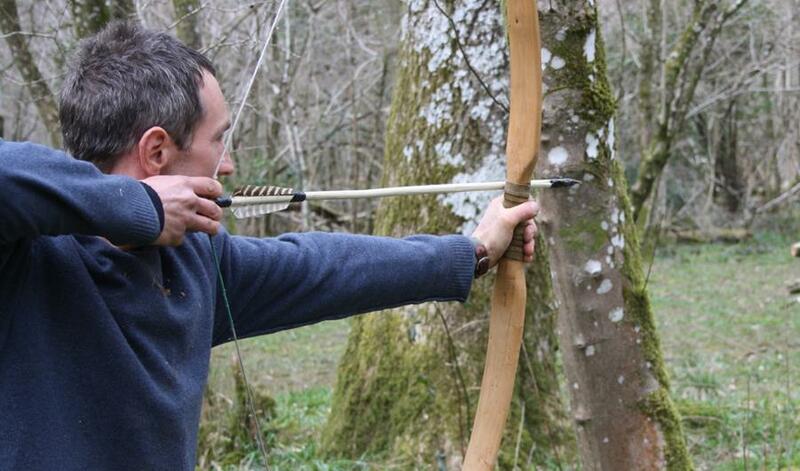 During these four days you will learn how to construct an ash bow from the first chop of axe into log right through to pinging arrows down the range. In learning how to carve a bow from a seasoned stave, you’ll gain a firm understanding of fine woodworking skills, timber selection and an insight into this fascinating and practical ancient technology. Our countryside is packed with wild foods and useful plants – if you know where to look! Almost every flower, tree and mushroom has a use and a story attached. 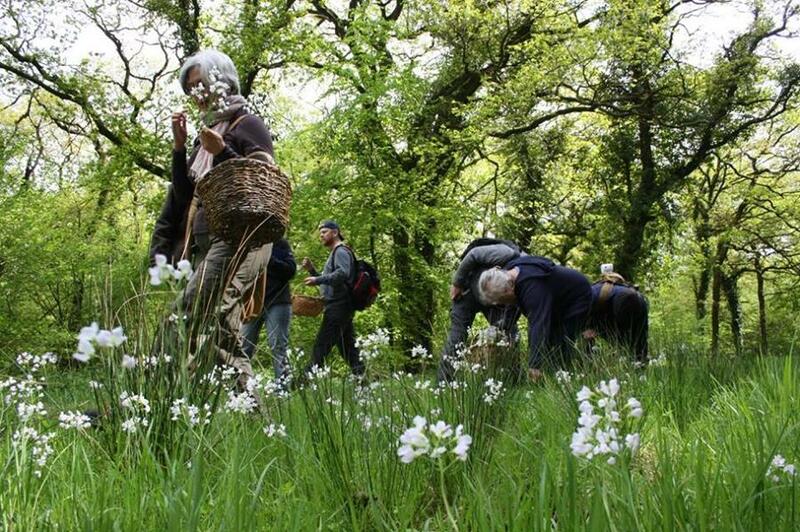 This intensive weekend course covers wild food foraging in autumn, large game butchery, outdoor cooking and baking techniques as well as preserving wild foods by smoking and drying. 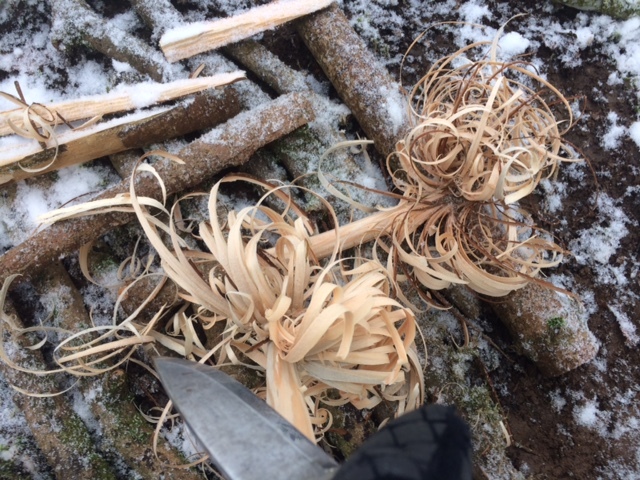 A follow on to the wood carving & whittling workshop part 1, this weekend course introduces the axe as a carving tool as well as larger saws and heavier duty hollowing tools, with the aim of turning out a kuksa or noggin style wooden cup or bowl. Leather boots 3 day workshop. Leather bag in a day. 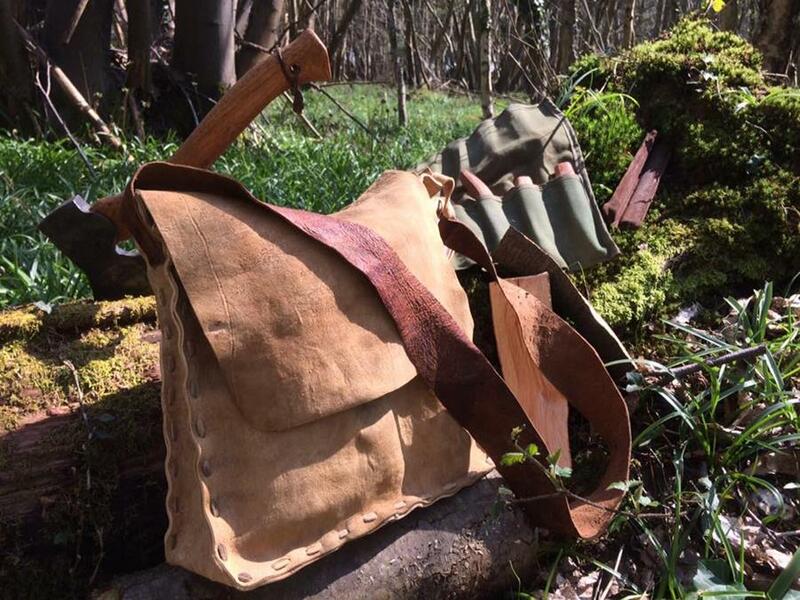 Make a wooden folding bucksaw and canvas carry case. Make a three legged stool. 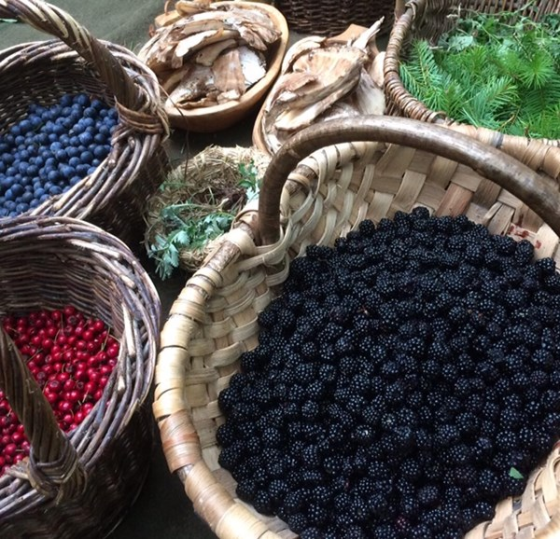 Weave a hedgerow foraging basket. Weave a willow fish trap. Make your own shave horse workshop – from log to finished horse. If you think that one of our courses would make the ideal present for an 'outdoorsy' person in your life, we sell Gift Vouchers. Pay however much you like towards the cost of any course or even club together with a few friends or family and pay a bit each. Hope to see you in the woods soon!